Wow. 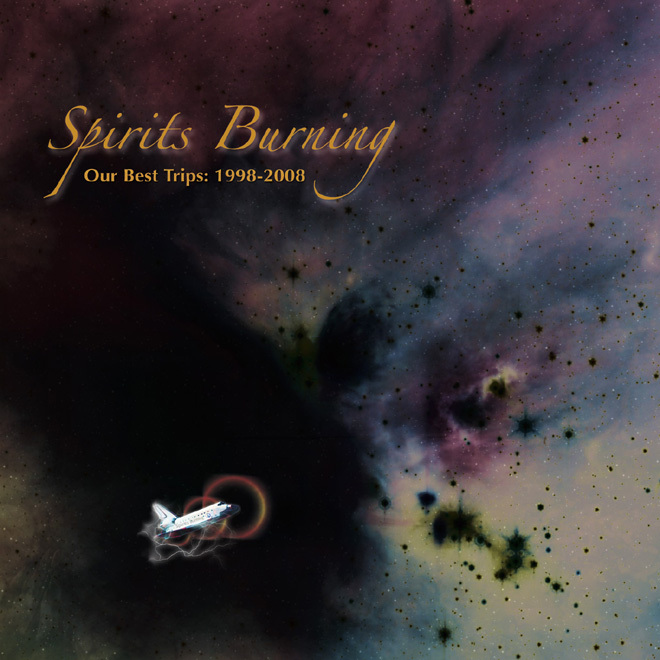 Spirits Burning has been going 10 years. Pretty impressive. This a really fantastic collection which features a lot of ex-Hawkwind members, Steven Wilson and Daevid Allen as well as members of Mushroom AMT, etc. You also get 3 totally unreleased tracks as well. As the title suggests this spans this projects full 10 years and has an amazing collection of tracks. This is a really great collection and is highly recommended for the psychedelic space rock fan. There are lots of unique guest appearances and a good value in time and money. This is a great introduction to Don Falcone's Spirits Burning Project. Also, look out for the new Spirits Burning & Bridget Wishart Bloodlines CD due out in October 2009.